I’ve been following Billericay Town FC since I moved here in 2013. I’m a lifelong Norwich City fan and grew up with football and fan representation, as my father was the Chair of Norwich City Independent Supports Association for 12 ½ years before Parkinson’s disease forced him to ease back. Prior to moving to Billericay, I spent 7 ½ years living in Guernsey where I was Director of Football for the national teams and a director of the Guernsey Football Association. 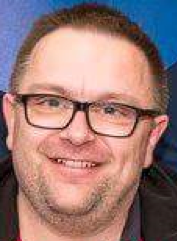 I retain my links with the Channel Islands and am President of the Parishes of Jersey FC, who are members of CONIFA and competing in competitions with other CONIFA members. 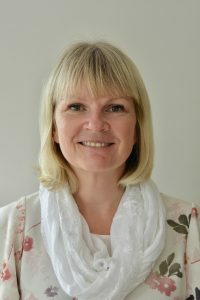 I was delighted to be elected as the inaugural Chair of BTSS in February 2018. While the investment in the football club is welcome, it’s important that the fans are represented and have regular dialogue with the Club. Along with your board, I will seek to ensure that this happens and work with senior club officials to have structured communications and share fan feedback. Billericay Town Football Club is a hugely important part of my life. I am a season ticket holder and part of a team of volunteers that organises away travel for supporters. In the past, I have sold 50/50 tickets, co-written a page in the programme and my husband and I were fortunate enough to have our wedding reception at New Lodge, complete with a Billericay Town wedding cake and our photographs taken in the Pac-Man Stand! Many years spent behind the goal, celebrating (and on occasion, commiserating!) with fellow supporters, has strengthened my desire to ensure our voices are heard within our football club. I consider it a privilege to have been elected to the board of the BTSS by its members and to be trusted to represent supporters’ views when engaging in dialogue with officials from our football club. I have been a supporter of Billericay Town FC for the past 20 years. You will find me behind the goal, home and away, cheering on the ‘Mighty Blues!’ I have a desire to ensure that all supporters have the best possible match day experience and that the views of all supporters are heard. It is important that that not only are we seen as inclusive but we work tirelessly behind the scenes to make it happen. My background is in education having spent 10 years as headteacher of an Essex primary school. I have a working knowledge of accountability and financial regulations. I have chaired numerous committees and have been an active member of several Trust Boards. 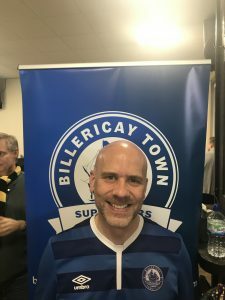 As a lifelong supporter of Billericay Town, I have enjoyed the many ups and downs that come with supporting a local non-league football club and have invested a substantial part of my life into the club. During my early years I attended matches with my Father and Grandfather. As I progressed through my teenage years and gained my independence I then start attending away games. This allowed me to start mixing with other supporters and club officials and forge fantastic friendships that remain to this day. As I became more involved with the club in my teenage years I began to take on official roles within the Supporters Club and then the main club. I initially joined the Supporters Club Committee and undertook several roles over the course of a few years, before I was offered a place on the main club Football Committee initially as a co-opted member, before stepping up to the role of Match Secretary – a role I carried out over a number of seasons. My involvement in the club increased from there and I took on extra responsibility as Kit Man in addition to other jobs around the club. Like many of us, I have watched in awe at the transformation around the club over the last 2 years and this is something I never thought I would see happen to us. The facilities we now experience are second to none and we have a playing squad and ambition to progress that matches these great facilities. We are very lucky. One of the most pleasing transformations we have seen over the last 12 months is the club beginning to reach out to the wider community and create a level of engagement that many of us have been craving for years. I am very keen that the Supporters Society is part of this. Ensuring the engagement of all supporters and the wider community is key to the success of the club over the coming years. I have been a supporter of Billericay Town FC for 29 years, many of those years home and away through thick and thin. In fact, the day I was due to be induced before giving birth to my little boy, I still attended the game first (I hoped it would speed the process up, it didn’t!). I have been involved in the Supporters Club and main Club in a number of different capacities. I have volunteered for the Club by selling programmes, working in the tea hut, cooking burgers and even making a flag for the flagpole. I regularly assisted with the ‘paint marathon’ that happened during every close season and contributed to fundraising initiatives when they arose. I have been a committee member of the old Supporters Club as well and have always wanted to be a part of the supporters’ community. 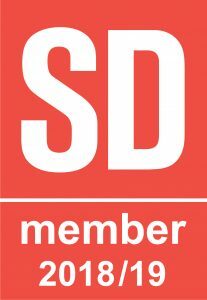 As Membership Secretary of the Supporters Society I am keen to engage with as many supporters of this great club as possible, both longstanding and new. It has been a pleasure to chat to so many, share ideas and look forward with enthusiasm. I am passionate about the Football Club and its supporters are at the heart of that. I will do all I can to serve their best interests as the Football Club continues to go from strength to strength. I have been an obsessive football fan all my life. As my long suffering wife knows though my overwhelming passion is for football. The storage unit I rent which full of football programmes is testament to this. I have been a supporter of Billericay Town FC for 40 years, through good times and bad. When our club saw a change of ownership, I thought it was the time to have structured fan involvement and influence to represent the views and needs of our supporters. 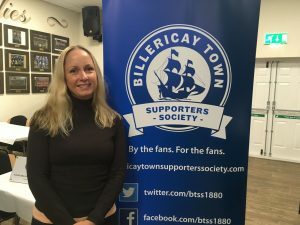 With this in mind, with fellow supporters and the help of Supporters Direct, I set up the Billericay Town Supporters Society. At our inaugural AGM I was appointed our first Secretary, which is the post I currently hold. We are currently building a relationship with the football club and have made them aware of our aims of being the voice for our supporters in fast changing and challenging times. I have been a Billericay Town supporter since 2002. When I first started supporting the club, I volunteered for a few years, helping with stewarding and 50/50 ticket selling. 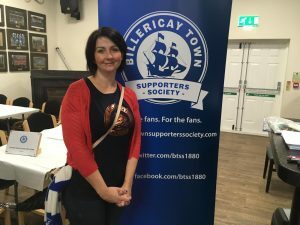 I joined the Billericay Town Supporters Society at the Society’s meeting in September, where I expressed an interest in taking on the role of Treasurer for the society. I have previous experience of being on a committee, as I have held the role of secretary at Willow Herbs Cricket club for the last four years. 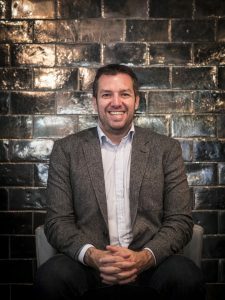 I have gained considerable financial experience working in Finance at an insurance company and I am ACCA part-qualified with one further exam to pass before becoming a fully qualified accountant. I have enjoyed seeing all the changes that have been made to the ground and the club as we look to progress to a higher level and attract more supporters. The Supporters Society will have an important role in the future of the club and I’m pleased to be part of it.